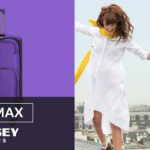 When it comes down to Delsey’s massive luggage collection, and when you’re looking between those more mundane black suitcases that all kinds of brands only seem to offer, the Paris Chatillon collection stands out. It’s a bright and vibrant kind of suitcase – one which you wouldn’t overlook on baggage claim – and it strikes a unique popping style beside you at every leg of your journey (that is if you go with the carry-on option). 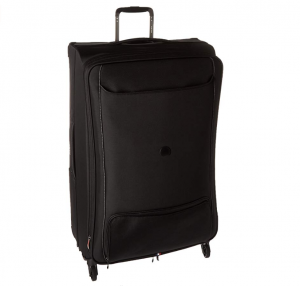 At face value this luggage appears easy to navigate around an airport, simple and refined with easy-access pockets for immediate needs such as laptop retrieval, and it even offers expandability for all those antiques you pick up while on your travels. But, in this Delsey Paris luggage review we’re looking to go deeper than just face value, and truly get behind what factors would make the Delsey Chatillon collection your next bag (or bags) of choice.  Companies like AmazonBasics offer two-piece pairings which can be cheaper, yes, but often lack the refinement and multiple uses of owning a three-piece collection; take the AmazonBasics Premium Expandable Softside Spinner Set, at first these seem like okay bags, but at closer inspection both their interior and exterior features are limited and its often hard to even buy these suitcases just on their own in carry-on size or medium/large size. The Delsey Chatillon, on the other hand, offers the familiar and comfortable travel pairing of a three-piece luggage design; this includes a 20-inch carry-on, a 24-inch average medium checked bag, but a slightly overlarge 30-inch checked full. Already that’s a lot of packing space, not to mention that the design includes full expandability and multiple pockets. Keep reading though, because these aren’t the only details! Looking at just their unexpanded storage values, the carry-on case offers around 30 liters of room for up to enough clothing to match week long (or longer) trip; it’s the perfect business suitcase by any standards. Next, at 24-inches, the medium has enough stretch to fit around 60 liters without expansion, and the full which can be purchased with all of these in a set or on its own and paired with the carry-on, offers over 100+ liters of space before expansion. 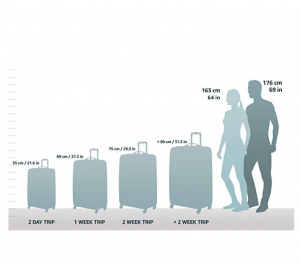 Once expanded these suitcases gain an additional 2 inches (or 15% more packing space than the average soft side carry-on, medium, and full). Other top-notch storage features include one recessed exterior pocket and one base pocket-pouch, while interiors offer two zippered ceiling pockets as well as crossbeam tie-down straps. Each bag in this Delsey Paris luggage review include extras that will make your traveling a breeze; these are features such as ‘material type’, which is a unique blend of water repellent duratec fabric which combines nicely with reinforced corners and scratch resistant fabric between the wheel housings to minimize impact at key stress points. Four spinner wheels assure smooth maneuverability and keep zero weight on your arm. The most remarkable feature about this bag, is the unique and Delsey patented “overweight indicator” which allows you to determine if your packed case is over 50lbs by using the device on the top of the luggage by the handle, which allows you to save money on unnecessary baggage fees. 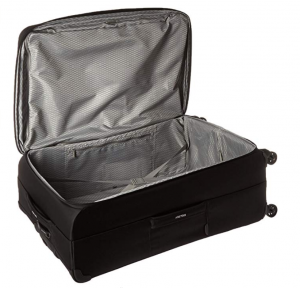 This suitcase features an outside easy-access bottom pocket, great for organization of small electronic accessories such as cords and chargers and shoes, as well as a fully lined interior with adjustable tie-down straps to secure clothing. 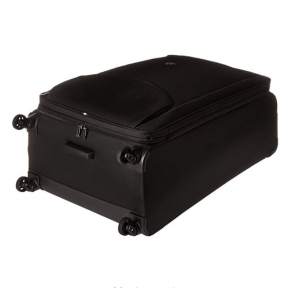 The front lid of the luggage also features a garment system for minimizing wrinkles. At its smallest unpacked carry-on size, the Delsey Chatillon suitcase weighs a measly 4.6 pounds, making it extremely easy to handle for any passenger no matter their age or constitution. In fact, at 4.6 pounds the carry-on is lighter than even your most average carry-ons without sacrificing the space for necessary features. It’s a whopping 3 pounds lighter than the popular competitor carry-on by Loudmouth Luggage, and that’s only just looking at the carry-on for this Delsey original. Other weights for the medium and large checked suitcases come in at 7 pounds and 9 pounds respectively. At these weights it takes a little more finesse to keep your checked luggage under the 50-pound imposed weight limits for national and international flights, but your packing process still won’t be nearly as limiting as trying to pack a heavyweight hard-shell case of the same size. 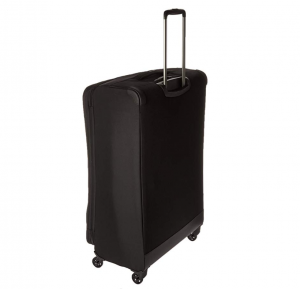 Finally, other weight features include top and side haul handles built into each suitcase in this collection; this addition makes removing your luggage from moving carousels and tall overhead bins easier than ever and safer for your back and legs. Like any suitcase made of polyester we do feel the need to explain that other brands which use nylon or cotton canvas materials in designing their soft side luggage, will typically offer suitcases with more durability. However, when it comes down to the soft side Delsey Chatillon, its unique fabric is called ‘Polyester Dura-Tec’, which is very similar to other forms of ripstop polyester. As far as durability goes, it’s a lot easier to crack a sheet of PC material (the kind most hard side suitcases are made from) than it is to tear a sheet of ripstop polyester. That means that if we’re ranking the suitcases in this Delsey Paris luggage review, they’re easily a 7 out of 10 on the durability scale; that’s not even mentioning the protracting handle which is smooth and made from strong aluminum, or the thick cotton canvas haul handles. The spinner wheels are rather on the weak side, but since all spinner wheels can’t compare to the durability of in-line skate wheels, this isn’t entirely surprising. 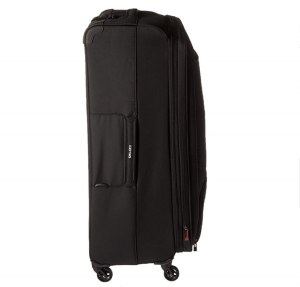 For suitcases with in-line skate wheels, we suggest customer favorites like the Samsonite Aspire XLite 21.5″ Expandable Upright in Black. Other than that, we’re highly impressed with the durability of the Delsey Chatillon and we think most travelers will agree with us. The Chatillon Collection features bags which are in the soft-sided style and include spinner wheels, however as far as design and color options go the Delsey Chatillon can be very limited. At times Delsey will produce other colors of this suitcase, but typically the collection or individual carry-on, medium, and large suitcases are available in a basic and bright blue color. However, where the style counts, we think it’s a very one-of-a-kind look which no traveler would overlook during baggage claim, and which would never get mixed up with another passengers luggage. Highly expandable and maximizes on packing space with a lightweight polyester stretch design. Feature friendly! Extra pockets and even a gauge for measuring the weight of each suitcase. Made from polyester which is not nearly as durable as cotton canvas or nylon.